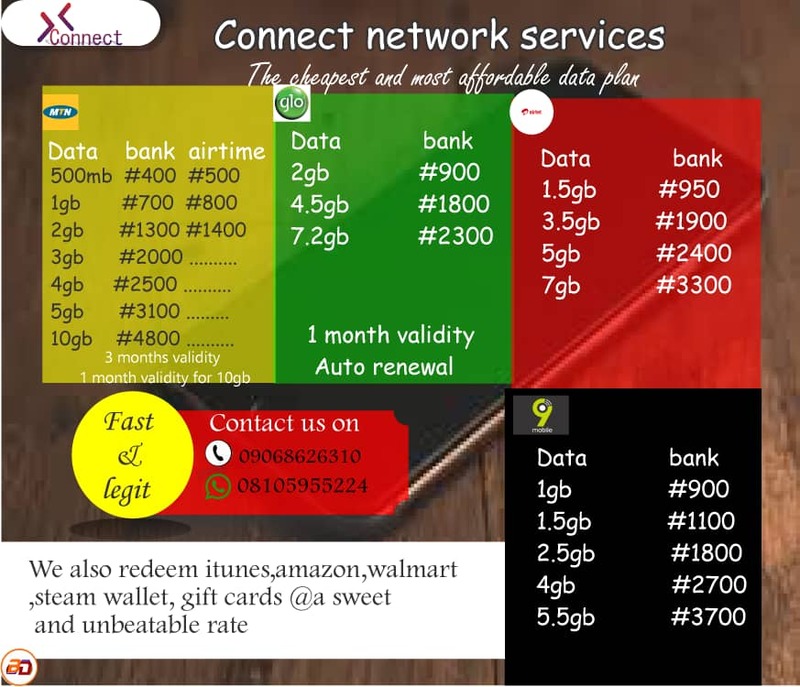 (Advert): CONNECT NETWORK SERVICES. Tested And Trusted. 👉We offer data services of all network at cheap and affordable rate. 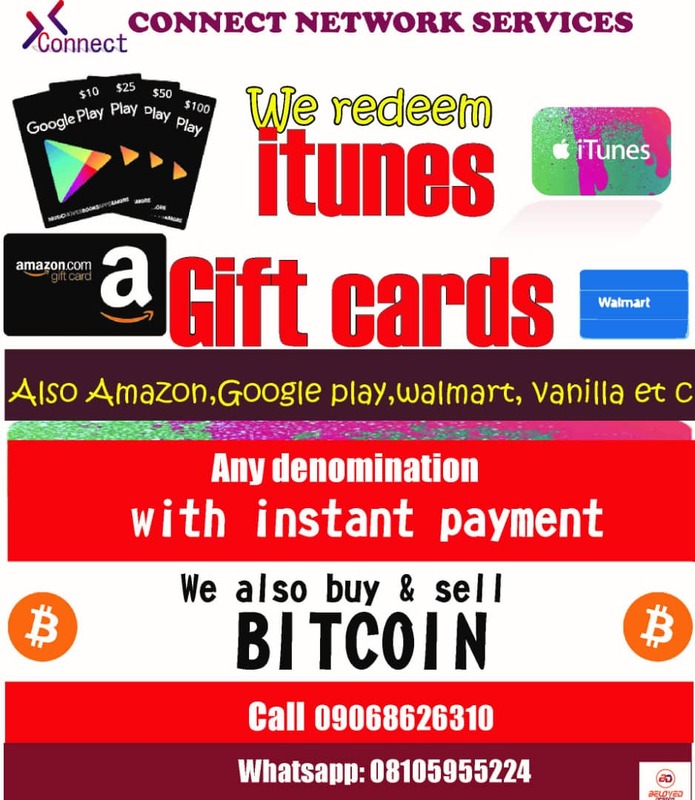 We give u d real value of ur money. additional Jara of #100 for AIRTIME transfer. 👉 Call: 09068626310, to speak we us. 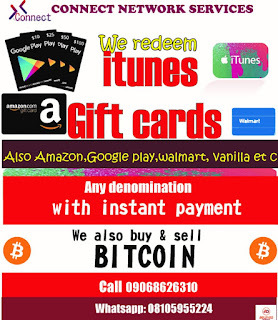 Conversion of ITunes and gift card to instant cash. Kindly patronise us, we are reliable and trustworthy. Please rebroadcast to your friends.